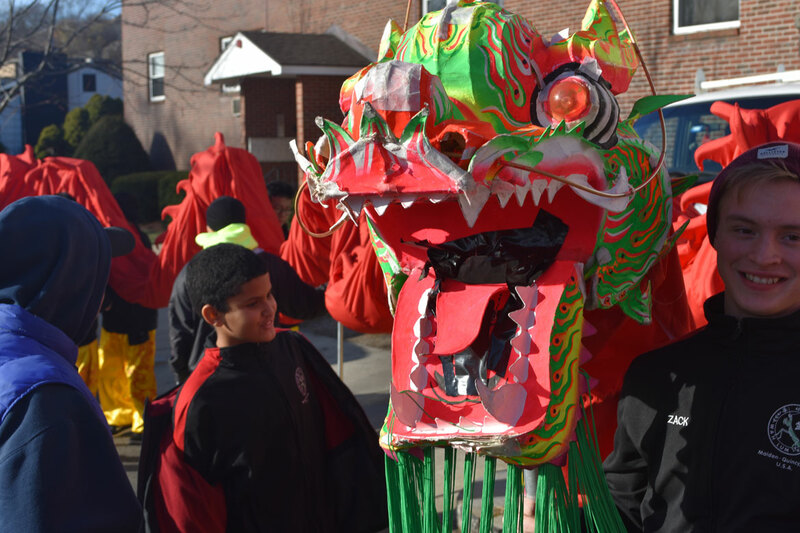 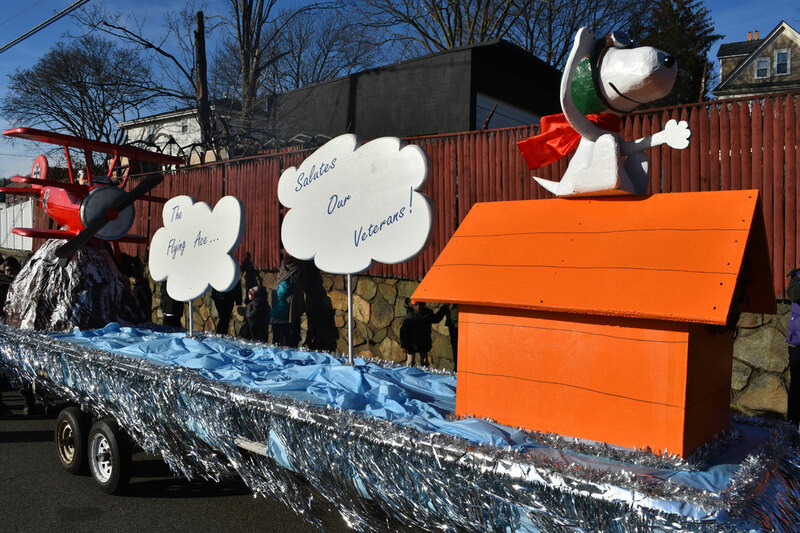 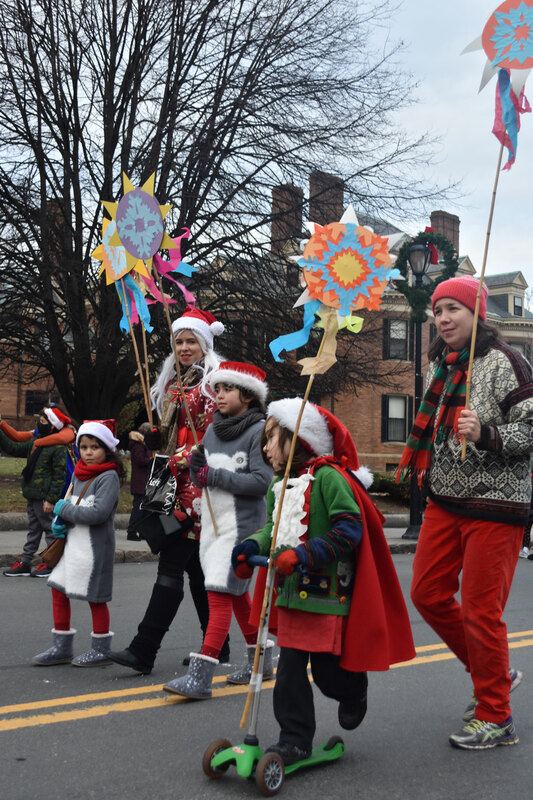 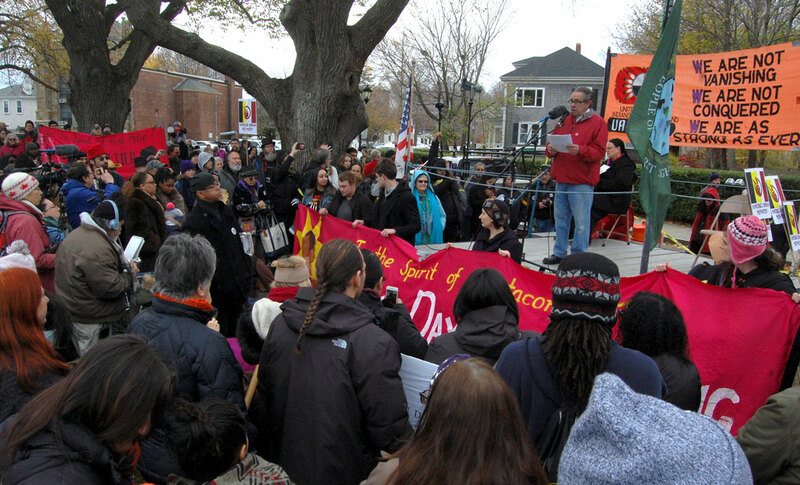 Malden held its annual Parade of Holiday Traditions yesterday. As usual Ward 7 City Councilor Neal Anderson’ annual wintery float staffed by elves and the Aleppo Unit of Shriners Clowns appeared. 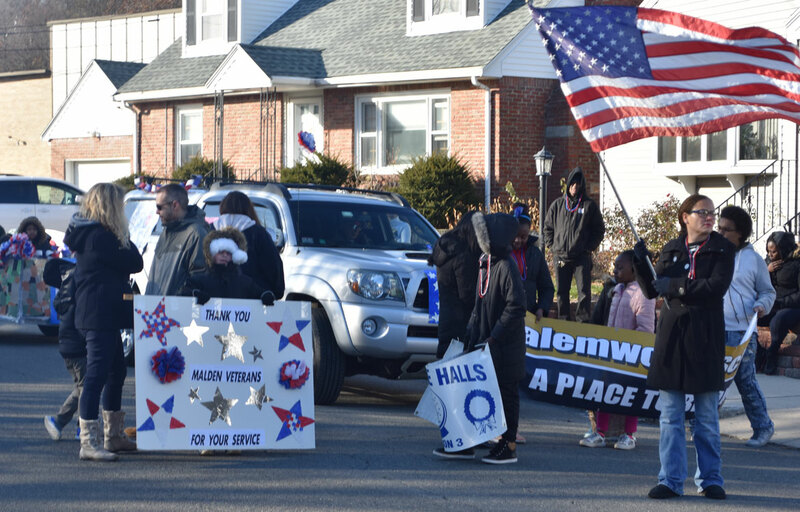 But this year, city officials had elementary school groups highlight veterans. 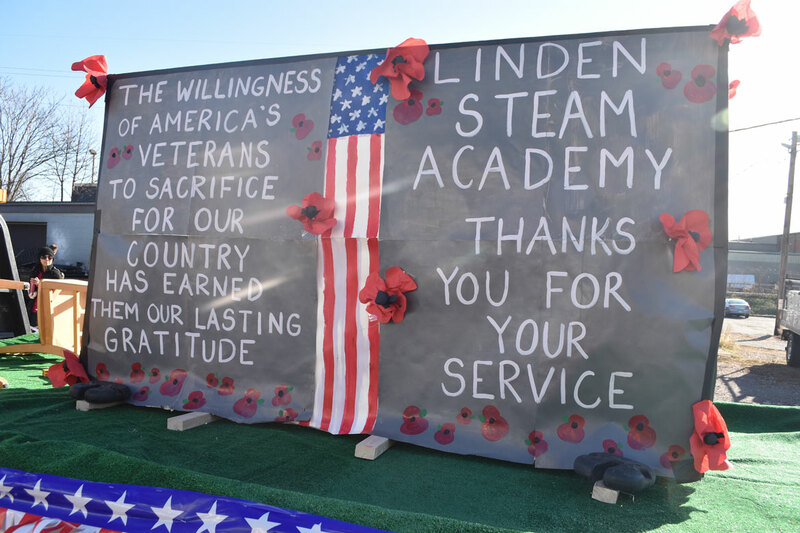 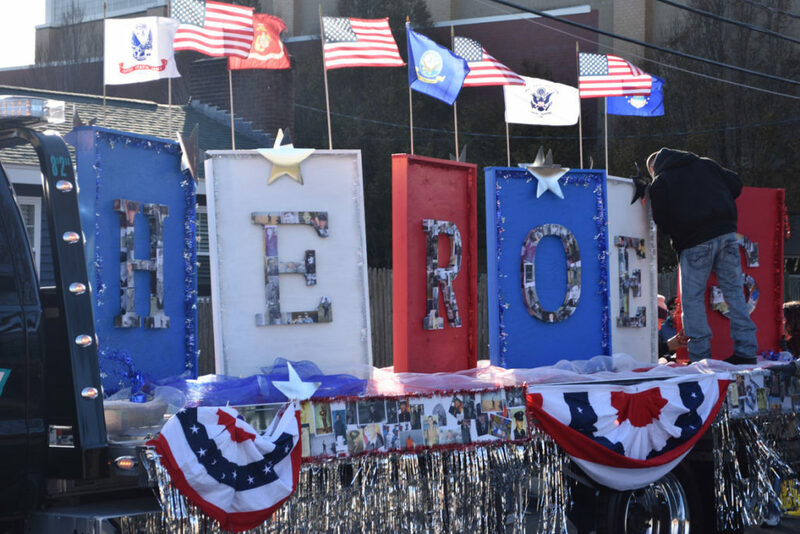 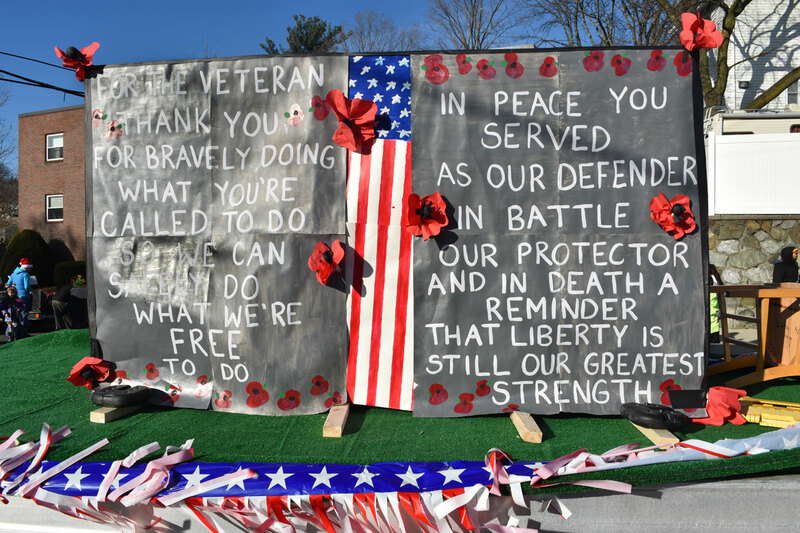 “Each school will bring its own unique presence to the parade, either with a float or demonstration, featuring the theme of ‘Thank you Veterans – we are grateful for your service,’” according to an announcement from Mayor Gary Christenson. 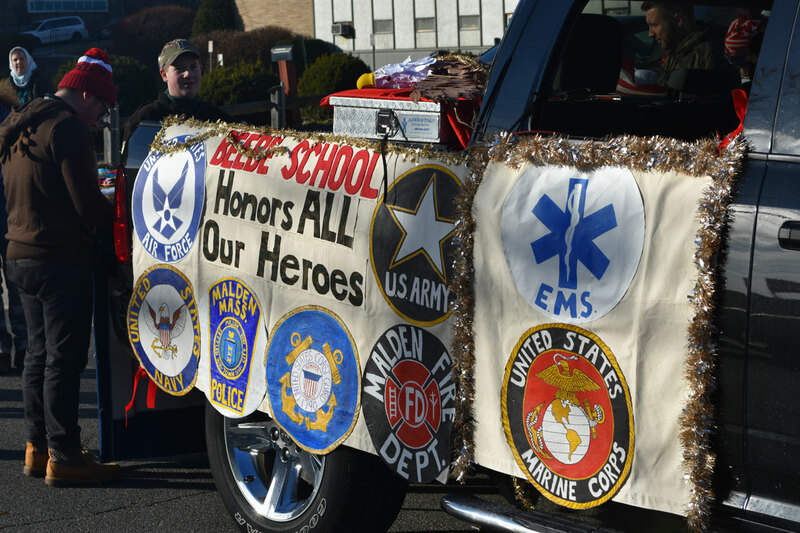 This gave the winter holiday parade a distinctly military flavor—plus the addition of the model of the USS Thresher (SSN-593) Memorial Parade Float from the Marblehead Base of the United States Submarine Veterans, honoring the nuclear-powered attack submarine that sank during dive tests 220 miles east of Boston in 1963 killing 129 people. 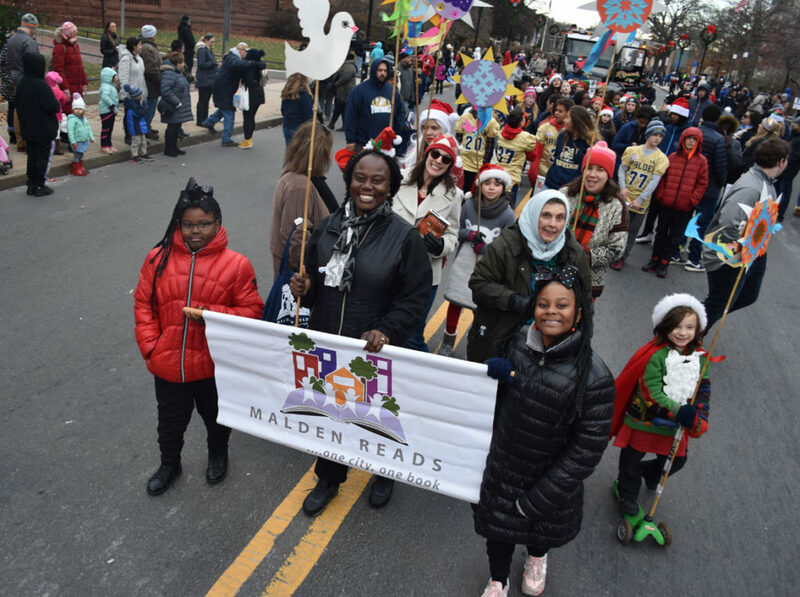 Other groups participating in the parade included the Malden High School marching band, Malden Pop Warner Football, bagpipers, dance academies, and Malden Reads in collaboration with the Malden Public Library and Wonderland Spectacle Co. (of which I’m a co-founder) to celebrate the community’s “one city, one book” program.